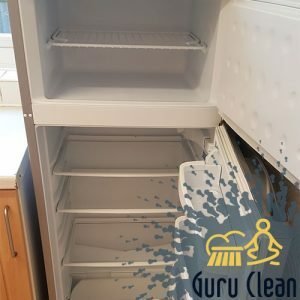 Our company is a renowned cleaning agency and when you find yourself in need of a professional end of tenancy cleaning service, we are the one company to call. We are a one-stop-shop when it comes to providing cleaning services in Central London and end of tenancy cleaning is our speciality. We pride ourselves on our years of experience and in our attention to details. We are here to help you with this burden and ease your life and your moving out as much as we can. You can turn to us for help whether you are a tenant moving out and wanting their deposit back, a landlord whose property is being vacated or an estate agent needs to maintain high levels of cleanliness in their entrusted properties. We will modify our service to your needs. We will align our service with your preferences. Get in touch with us via email, our website or our phone. Our call centre is at your disposal 24/7 and our phone operators will give you more information about our packages or available appointments. We want to give you pleasing results and an immaculate property, so we are offering you a guarantee. Our guarantee includes a free re-clean of an area that you are not very happy with how it has turned out and you notify us within two days. We assure you that our skilled team will scrub tile and grouts, wash windows, dust and cobweb, sanitise and disinfect thoroughly. Our teams use great professional tools and cleaning products and are more than adequate to fight and eradicate all germs, stains and grime from various surfaces. Book our end of tenancy cleaning service now and enjoy our economical prices and unrivalled anywhere in Central London service.